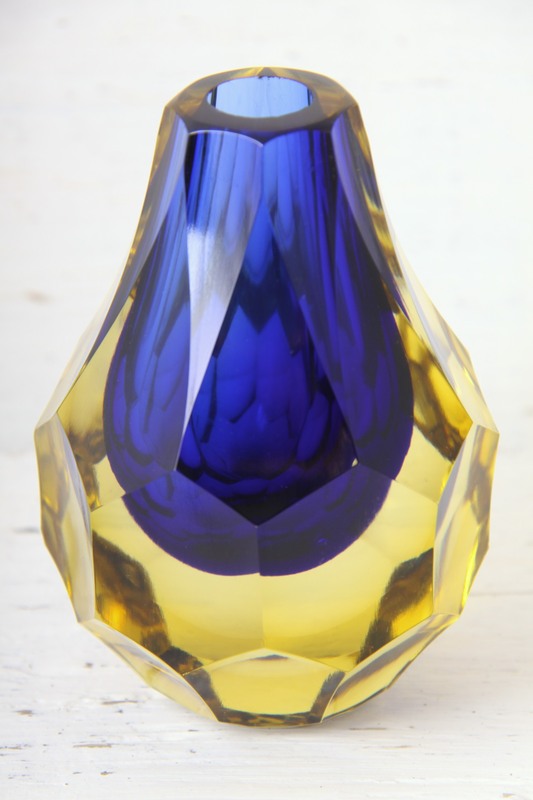 This is a Beautiful Art glass vase, made by Seguso Vetri d’Arte, Murano, Venice, Italy circa late 1970’s. A Wonderful minimal piece that showcases the craftsmanship and special techniques used by the master craftsman glassblowers of Murano. 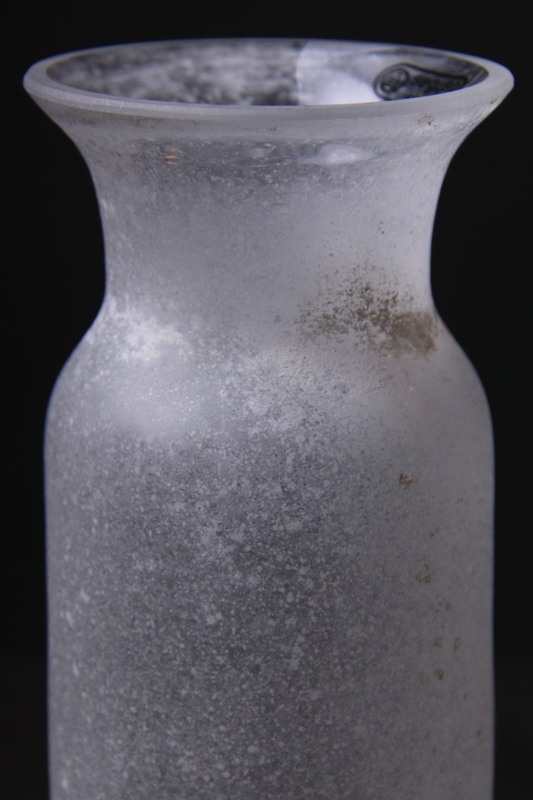 are fused at a temperature of about 800°C on the surface of the glass vase. This aged rough look combined with the traditional form give the piece a Postmodern look, referencing the classical in a modernist contemporary way. Very minimal and space age! 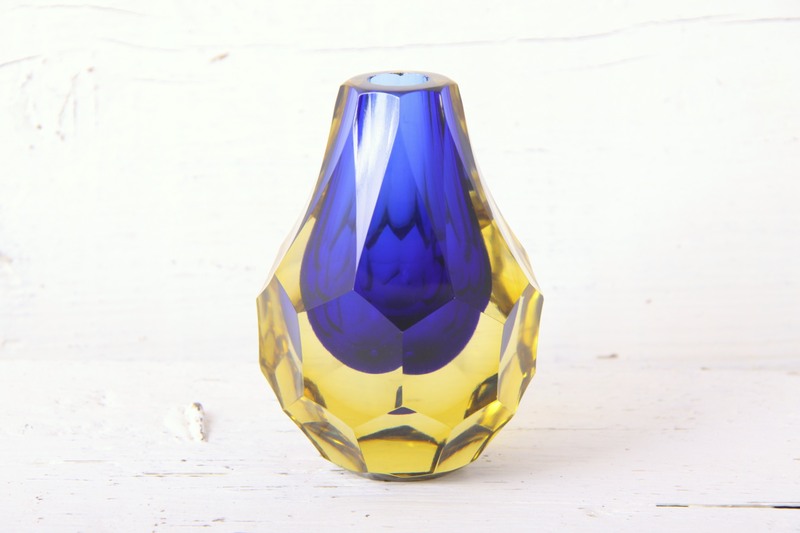 A Stunning piece, it catches the light beautifully with a diffuse glow, would look stunning with bright flowers, or on its own as a sculptural piece of art glass. 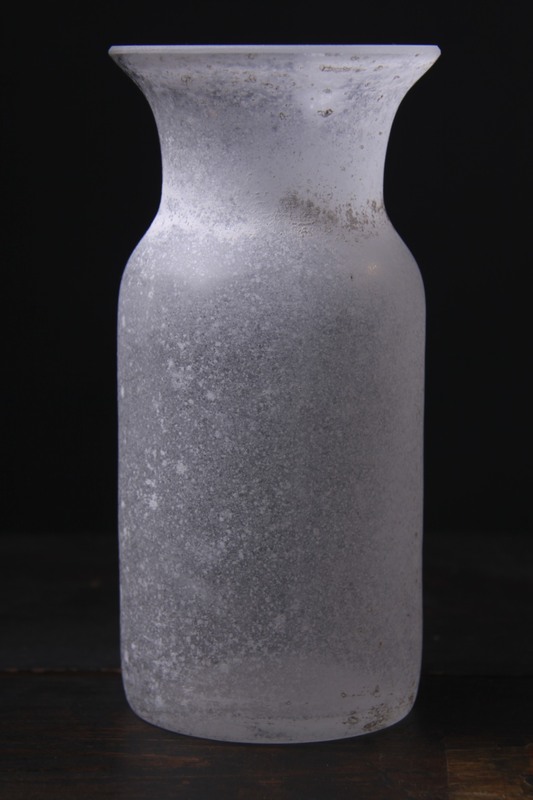 Would complement any retro, vintage, minimal, modernist, postmodern, 70′;s, 80’s or contemporary styled interior. In Excellent Condition no marks, chips or scratches, still bears the original Seguso label. Measures 16 x 8 x 8cm / 6.25 x 3.25 x 3.25in.